When it comes to shopping for used trucks for sale, you need to take into consideration a few things before you buy. Like why do you want a truck in the first place? Depending on your answer, it will alter the type of used truck you decide to buy. Also, it’s important to consider when you’re going to buy your truck, and plan ahead to buy it when prices are at their lowest. Vehicle prices tend to change with the seasons. Finally, you’ll want to check out websites like J.D. Power and others to get statistics and ratings on which used truck is the most durable, reliable, long-lasting, etc. Then, consider what it did for work beforehand — since trucks are used for work on farms, plowing snow, construction sites, etc. — and research the climate it lived in beforehand. If you consider these five things before buying a truck, you won’t be disappointed with your purchase. Why Do you Want a Truck? When it comes to buying a truck, you’ll want to first consider why you’re buying it. Are you looking for one for working, as a daily commuter, or for some other purpose? For example, I have a friend who bought the F-250 for its bed size since he’s a big animal vet. Therefore, he needed a lot of space for his medical supplies, and also the capability a truck would provide for driving out on big farms. Comparatively, my family had regular full-size trucks for toting firewood around because the size was enough to get the job done. Therefore, take a look at each truck and figure out which one will best suit your needs. I only advise going into the Heavy Duty (HD) line — 2500, 3500 — if you need one for something intense. 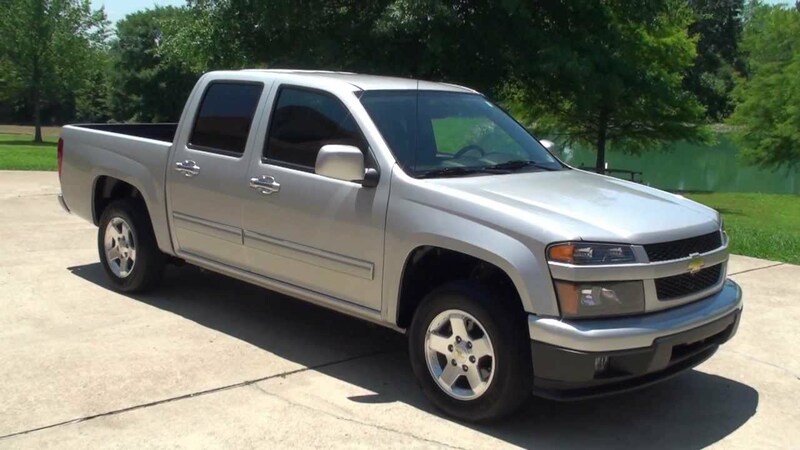 If it’s just a daily driver you’re looking for, grab a mid-size truck with or without a four-door cab depending on whether you need to transport family. Is it just yourself and your dog? Grab something like a Chevy S10 or Ford Ranger. They are smaller, and much more fuel-efficient than a mid-size or full-size truck. In the automotive world, you’ll find that prices of new and used trucks and cars fluctuate in price as the seasons change. Each type of car has a cheaper time of the year and a more expensive time of the year that’s unique to that particular vehicle type. Trucks, for example, are cheaper in the winter and fall than they are in the spring and summer. Actually, the prices go up a significant amount in the spring and summer. Therefore, your best time to buy would be when the weather is colder, if you can wait that long through careful planning and saving. If you can’t wait that long and the weather is warmer, then you really don’t have a choice, I guess. Then again, that’s why you’re always supposed to plan out your next car purchase — new or used — well in advanced of your current car’s final breath. That way, you don’t get stuck in a situation where you need wheels, but don’t have the transportation (or funds) to go buy some. While it shouldn’t be the only thing you consider, it’s still good to do some research beforehand. In particular, I’m talking about the statistics and ratings of the used trucks on the market. On the statistics side of things, you’ll want to check out sources like J.D. Power, a site that gives out tests and awards based on various aspects of a vehicle. Articles from sources like Forbes or Car and Driver are also a great way to discover the longest lasting trucks on the market, and which ones are the most reliable. For ratings, you’ll want to check out websites like Consumer Reports, Edmunds, and Kelley Blue Book. Not only will you find professional reviews of the vehicles there, but you’ll also be able to access an abundance of honest consumer testimonials and reviews. That way, you are able to find the best of both worlds to make a more informed decision. Trucks are used for work. Therefore, you’ll want to consider what this truck did for work with its previous owner. Was it a field or farm truck, consistently caked in mud? Or did it plow the roads tirelessly all winter long in frozen wastelands? Maybe it was on a construction site, pulling heavy trailers, and hauling heavy payloads. Depending on how hard the truck worked or what line of work it was in, you might want to reconsider your purchase. If it was taken care of that’s one thing, but if it was caked in mud, snow, salt or sand for its entire life and not washed once, then you’re bound to have some rust problems. Hauling heavy payloads or towing big trailers puts more wear and tear on the vehicle, especially the transmission and the engine, and could indicate that it might need repairs sooner rather than later. The goal is to find a truck that didn’t have a hard life, features low mileage, and was owned by one or two people, who took care of it properly. Believe it or not, climate will have a lot to do with how long a used truck — or any vehicle for that matter — will last. When snow falls, vehicles accumulate a lot of salt and sand underneath their frames, which means if your prospective pickup purchase hails from chilly climes, it will rust quicker than a vehicle from down south. But, down south, you might be dealing with a truck that has flood damage, or was constantly soaked by seasonal rains. Especially right now, with the seemingly endless barrage of hurricanes pounding the southeastern coastline. There is plenty of other examples I could make, but you get the idea. The important thing is to figure out where the truck came from, then inspect it with those conditions in mind. Take into consideration any special steps that might be required to ensure that your prospective used truck is, in fact, a good buy. Follow these five steps, and you’ll be buying a used truck that will give you years of joy. But remember, considering why you need a used truck and basing your decision off of that is almost just as important as the inspection process when you’re at the dealership. Buy the wrong truck, and you might end up with something that is inadequate, or doesn’t meet your expectations.